The original film, “Ocean’s 11”, was a vehicle for the Rat Pack back in 1960 and featured Frank Sinatra and his posse of pals attempting a series of five elaborate Las Vegas casino heists on New Year’s Eve. The film opened to rave reviews at the time and holds a steady 50% on aggregate site Rotten Tomatoes. The film had legs – and producers were eager in 2001 to gather some of Hollywood’s biggest names: George Clooney, Brad Pitt, Julia Roberts, Matt Damon. The film, now titled “Ocean’s Eleven,” was directed by the prolific Steven Soderbergh. “Ocean’s Eleven” ended up being the fifth highest grossing film of 2001 and accumulated $450 million. The film’s stellar cast was reportedly chopped and changed as actors dropped out due to commitments, which proved a pitfall in casting a roster of the most sought after names in the industry. The success of the “Ocean’s11” remake led to two sequels being created – “Ocean’s Twelve” and “Ocean’s Thirteen” in 2004 and 2007 respectively. By the end of the newly created Ocean’s Trilogy, the series floundered but on the whole gave us some exciting moments. Fans are stunned to discover a plot point in the second film that involved Julia Robert’s character pretending to be “Pretty Woman” herself. This was in part due to Julia Robert’s pregnancy, which needed the script to be reworked. As a result, Entertainment Weekly rated it one of their worst sequels ever made. However, “Ocean’s Thirteen” provided us with a moment that Betway Casino classes as one of the greatest gambling scenes ever filmed as the culmination in events leads to Ocean’s plan working out. The Trilogy allowed us to bow out before any more stars were pulled in to flesh out the crew for “Ocean’s Fourteen.” But the concept remains strong, which explains why it has been reworked. “Ocean’s 8” replaces Clooney’s Ocean with Sandra Bullock’s Ocean, his sister, as she gathers seven formidable women in a bid to rob the Met Gala. Changing the premise of the film from a casino to a fashion gala and knocking out some of the dead weight of the team allows Warner Bros’ revamp to be original enough to stand on its own, without receiving negative comparisons to the Clooney series. 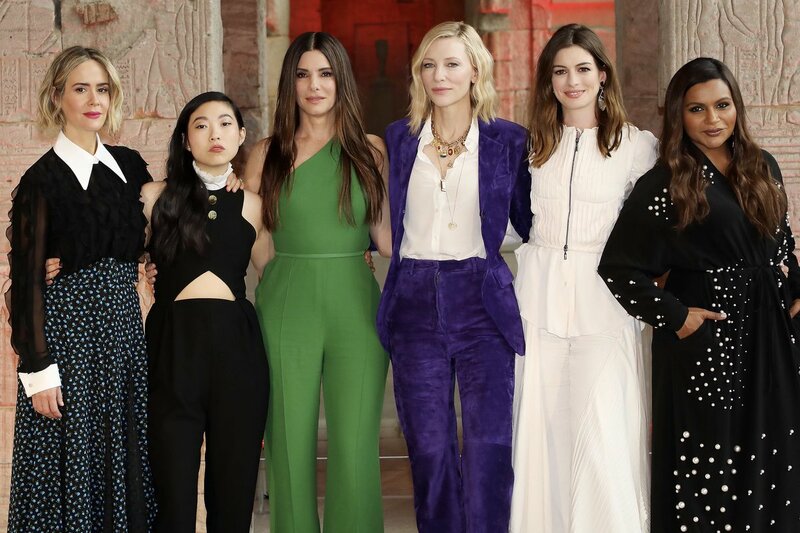 Bullock’s eight consists of acting legends Helena Bonham Carter and Cate Blanchett, comedian Mindy Kaling, “American Horror Story” star Sarah Paulson, musicians Rihanna and Awkwafina, and target of the heist Anne Hathaway. The film opens in early June and features cameos from the crème de la crème of high society, from fashion legend Anna Wintour to ex-One Direction member Zayn Malik to the uber-wealthy Kardashians. Plus, some original cast members have promised to show their faces in the film. The idea to remake a film that consisted primarily of men with a group of criminal women will no doubt change the entire dynamic of the film – in a good way. “Ghostbusters” received the same treatment in 2016 and while it gained many positive reactions, fans of the original offered unconstructive critiques. Hollywood is constantly taking ideas from the past to turn them into fresher ideas that harness the ideology of the time to change the film’s inherent meaning. “Ocean’s Eleven” was itself a closer remake of Frank Sinatra’s” Ocean’s 11″ than “Ocean’s 8” of is of its spiritual predecessors. “Ocean’s 8” looks to be a thoroughly enjoyable and well thought-out heist film – the likes of which we haven’t seen since Danny Ocean rinsed all the casinos in Las Vegas. The film’s change of characterization and tone gives fans of the original a loose enough remake to keep the memory of the old one intact while giving a new generation of audiences a chance to see how a heist film should be made.